Sometimes it can be really difficult to shop for Christmas gifts for men. I remember growing up, it seemed the men in the community always ended up getting the short end of the stick when it came to Christmas. If the man was in a couple, most of the people around me would purchase gifts that were supposed to be viewed as “couples” gifts, and while that seems like a great way to solve the dilemma, more times than not the gifts ended up being items that were more geared toward the lady in the couple. In the event that the man himself would receive something special, the gift would be something less personal- something that really didn’t reflect his true personality. After years of watching my dad, uncles, brothers and other men in my life receive neck ties, ball caps or “couples” gifts, I started to evaluate the reason for these impersonal gifts to try and discover why we all seemed to find it so difficult to shop for Christmas gifts for men. It wasn’t that people didn’t want to give these men something special for Christmas, after all. 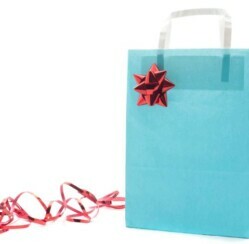 See, men can be tough creatures to buy gifts for, for a few reasons. People are timid about appealing to a man’s softer, more sentimental side, and since we can rarely get the men in our lives to tell us what they really want for Christmas, they often end up doing without. Men are workers by nature, so it just seems right to give them tools for Christmas. While it is true that tools can be great Christmas gifts sometimes, a man can only have so many screwdrivers. Most of the time, when men need something, they just go get it if they can afford to. That being said, I decided to look around for some all time hits when it comes to Christmas gifts for men, and here is what I found. Opt for something that appeals to the man in your life’s softer side, while still enabling him to express his masculinity. 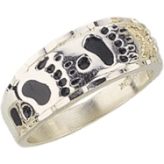 The Black Hills Gold Silver Bear Track Ring does all of that and more. Beautifully decorated with recessed, antiqued bear tracks and accented with 12kt. red and green gold leaves, this ring is certain to impress him this Christmas. Forget about replacing the tools he already has this holiday season, and instead look for something to make his life easier. The Wolfgang Porter Cable Ultimate Polishing Kit offers everything he needs to polish his favorite vehicle to an extremely high gloss, immaculate finish this holiday season. 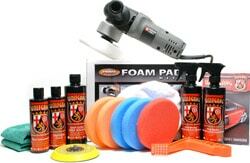 Complete with polishing compounds, an assortment of Hydro-Tech pads and other essential accessories and the Porter Cable 7424XP Dual Action Variable Speed Polisher, he will want to get started using this gift right away. Sometimes men don’t know what they need until they see it, but let’s face it- men absolutely adore gadgets. 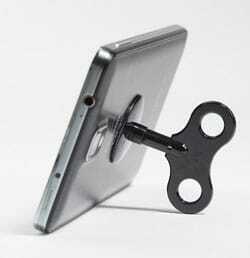 The ImaginistWikey Multipurpose Smartphone Stand has so many uses, it is certain to be a favorite gift this Christmas. Simply stick the reusable sticky tape wherever you want, twist the stand in place, and your man can use it to hang keys and other gadgets, hold memos or photos, or of course, as a smartphone stand. What are you getting the men in your life this Christmas?